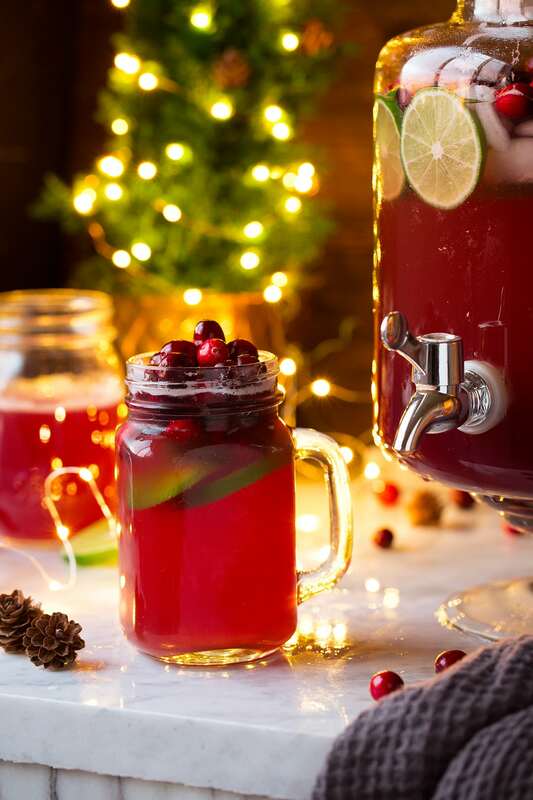 Christmas Punch has been my go-to holiday drink for 10+ years! It’s so delicious and perfectly festive, and the whole family loves it! Plus it only takes minutes to make. Win all around! I can still remember the first Thanksgiving I made this, I immediately fell in love. 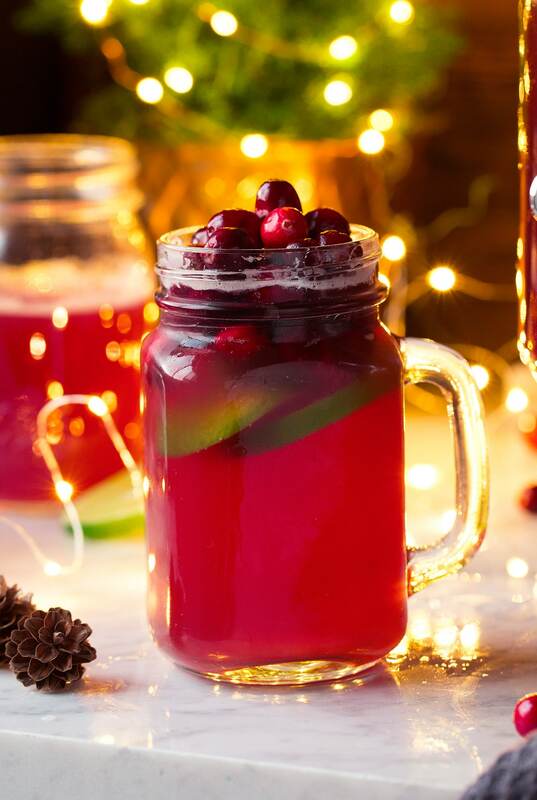 It isn’t very sweet which was perfect for me because I’m not a big fun of extra sweet drinks (if you love sweet though feel free to add in about 1/3 cup sugar with the cranberry juice then mix and dissolve before adding in the soda). It really just has the most delicious blend of flavors. The combination did seem strange to me at first with ginger ale, cranberries, pineapple juice and almond extract but trust me it just works! 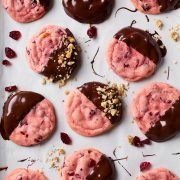 I mean think about all the good things in life that use almond extract – Raspberry Almond Thumbprint Cookies, Funfetti Cupcakes, the best Banana Almond Flax Smoothie, and those irresistible Almond Poppy Seed Pancakes. Almond extract makes everything good! It add such a unique yet perfectly welcoming flavor. 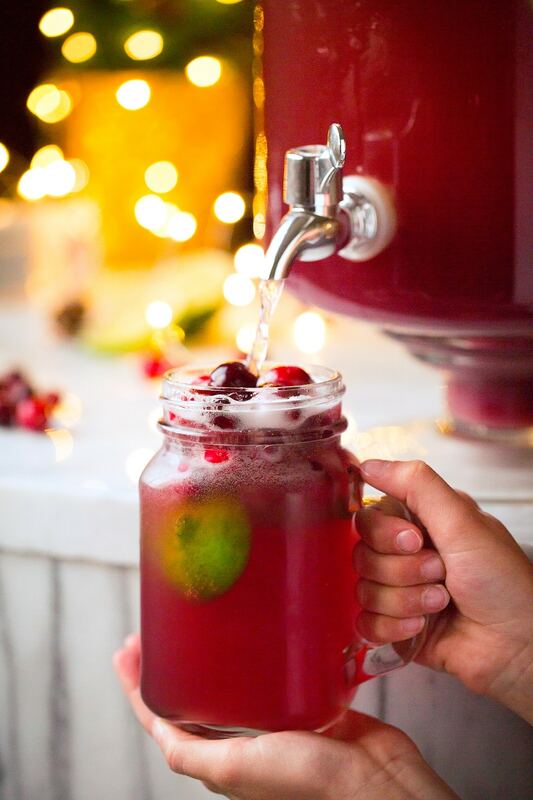 Pour cranberry juice, pineapple juice, and almond extract into a large drink dispenser and mix. Pour in ginger ale and give it one quick stir. Add in cranberries, ice and ginger ale. Serve within a few hours for best results as it will start to go flat. 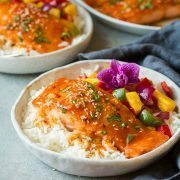 Can I Scale the Recipe Down? 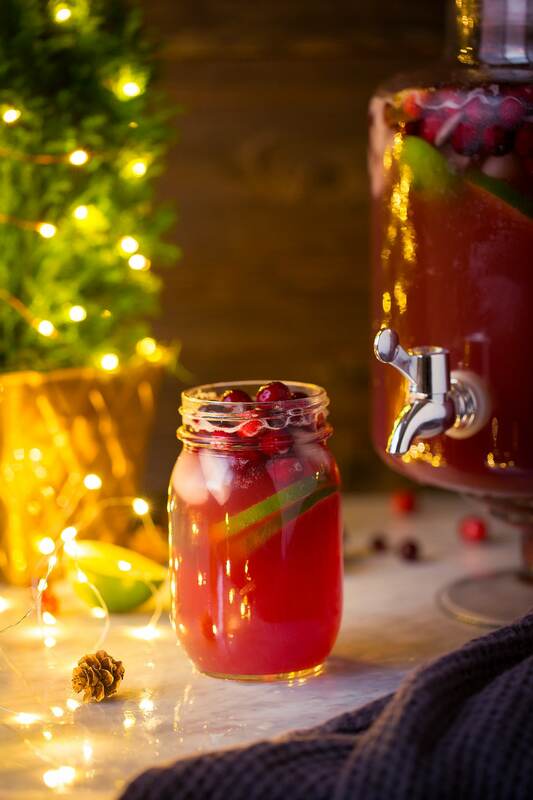 I used to make a slightly smaller version of this recipe but I’ve listed what perfectly fits in my drink dispenser, which is enough to serve to a small crowd. 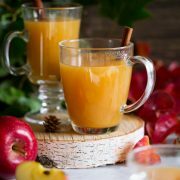 Use good quality “100% juice,” skip juice “beverage” or “cocktail” (they have added water, sweeteners, and or flavors). Don’t skip the almond extract even though it’s a small amount it adds a lot of flavor here. Use chilled ingredients. If the soda and juices are cold beforehand you don’t need to add as much ice, therefore it won’t be so diluted. Garnish it. Drinks taste better when they look better. 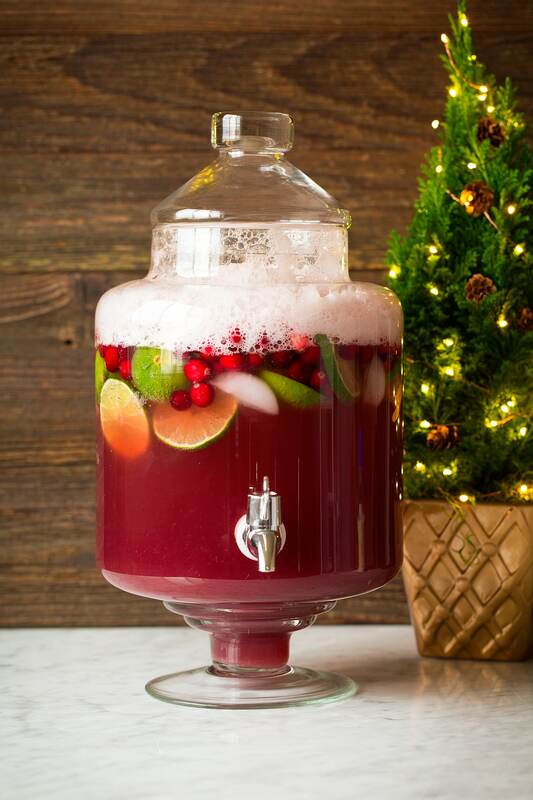 The cranberries and limes are optional but I’d say at least use one or the other. 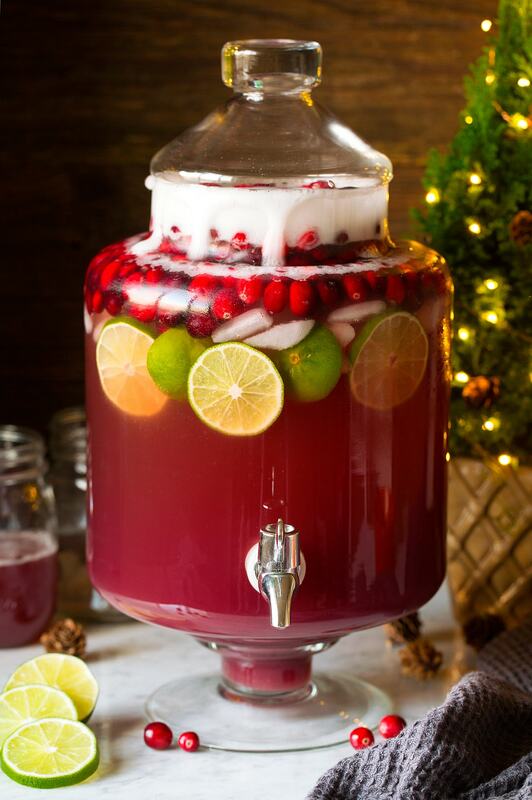 My families favorite punch! I've been making this for the holidays for 10+ years. A blend of soda, juices and almond extract - it may seem like a strange combination but together they taste amazing! *This is not 100% cranberry juice, it is 100% juice but it has a blend of other juices in it such as grape, apple, pear. 100% cranberry juice would be much too tart here. Use something like Oceanspray. **If you have room in your fridge preferably chill the soda and juices first or keep them in a cold (not freezing) garage, that way you don't need to add much ice and dilute it.